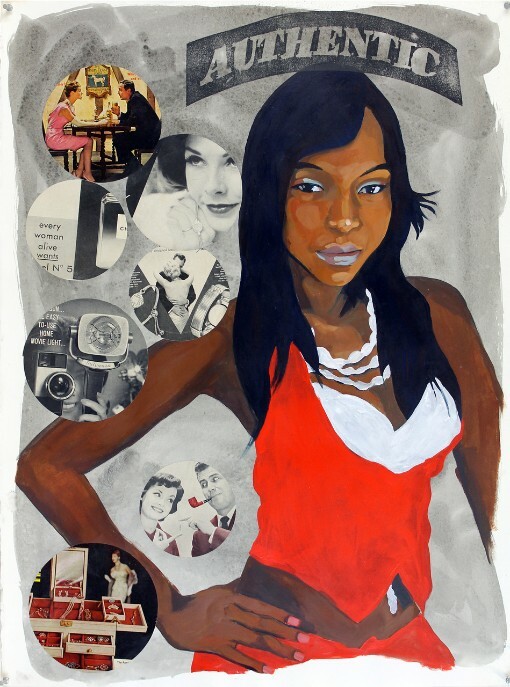 Vitus Shell is a mixed-media collage painter. 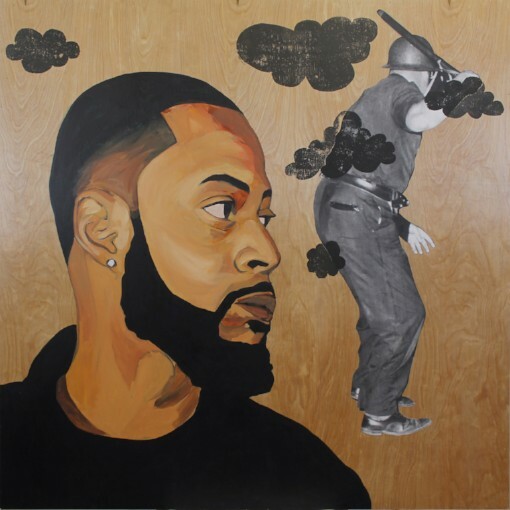 His large-scale paintings are geared toward the black experience, giving agency to people from this community through powerful images deconstructing, sampling and remixing identity, civil rights, and contemporary black culture. 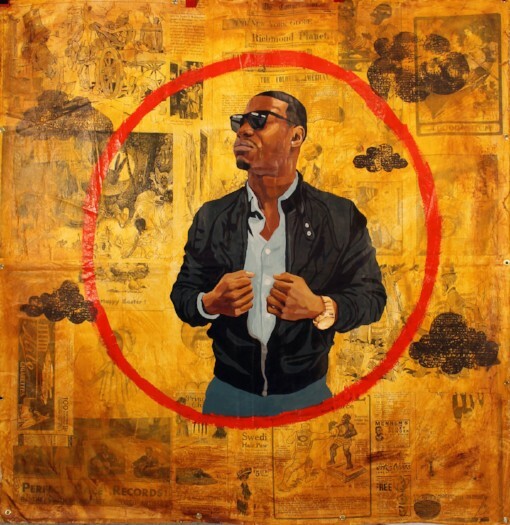 At Bemis, he plans to continue experimenting with portraiture, acrylic paint, oversized photocopies of early 20th-century vintage advertisements, and the incorporation of a foam-cut printing technique to combine the hip-hop lifestyle with a southern vernacular.